Have you searched on google for ‘local skip hire near me’? 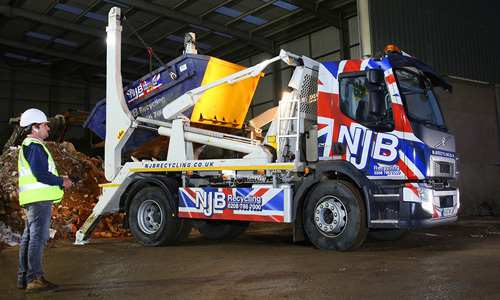 Look no further because NJB Recycling are here to offer you top quality rubbish skips in Wimbledon. 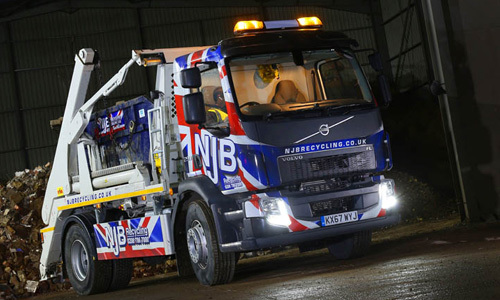 NJB Recycling are the leading company for skip hire and same day skip hire. If you are looking to rent a skip in your local area, then we are undoubtedly the company to go to. Our low-cost skips ensure that anyone can hire a skip for an affordable cost. Do you want same day skip hire with a rubbish collection service as well? Wimbledon Skip Hire provide both of these services with amazing quality to all of our customers. We want to save you the annoying trips to your local dump. That’s why a skip lorry will be able to assist you with both of these services. Just let us know what you need, and we will help you as much as possible with your clearance project! Call now on 02087867000 or email us to get more information. We look forward to hearing from you! It can be an irritating process looking for cheap and affordable skip for hire in your local area. The objective at NJB Recycling is to make this pain non-existent and to offer top quality but also economical services to our customers. You can expect nothing but the best from the family here at NJB. 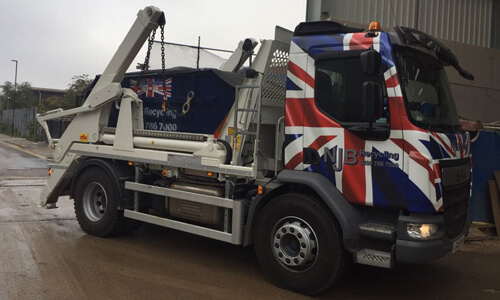 Our reliable skip lorries ensure that they are with you efficiently so you can get started on your disposal process as soon as possible! The price is dependent on which size skip that you decide to go for. However, we will always give our honest suggestion and inform you when you could hire a cheaper skip. Every clearance project requires a different size of skip; we make sure that our expert team assist you in choosing the perfect size. Hire a skip with us today for the cheapest prices in Wimbledon. Contact us by calling 02087867000 or enquiring. What are you waiting for? There is rubbish that needs clearing. Our world-class same day skip hire is always in high demand with our customers. Everything from our efficiency to our reliability, we are the go-to company for anyone in Wimbledon. If you urgently need a skip and cannot wait another day, book with us in the appropriate hours in the day to get your skip delivered that same day. We also provide amazing rubbish collection services that save you the hassle of going to your local dump after a long day of putting rubbish into a skip. Just let us know the date and time that you would like the rubbish to be collected and watch your troubles drive away! We are aware that every project is unique and different. It is our aim to perform and offer nothing but the best for our customers. NJB Recycling are the perfect company for all types of removal projects in Wimbledon and other surrounding areas. Our fleet of skip lorries and grab lorries ensure to give a high-quality experience to all our customers who use our services. For years we have gained hard-earned trust from each of our companies, and we continue to prioritise this within our company. Our services are local, reliable and affordable, making these services the perfect option for you. It doesn’t end there either! NJB want to stay green and save our environment. Recycling a whole 75% of waste that we collect, the clear main vision for our family-run company is to keep green. Get in contact with us now for the best services available in Wimbledon! Call us now on 02087867000 or enquire now.